After witnessing his stirring hat-trick against Inter Milan in the Champions League a fortnight ago, Barcelona have seemingly registered their interest in Tottenham’s emergent star Gareth Bale, although the Catalans have stopped short of saying anything particularly commital – such is their style. 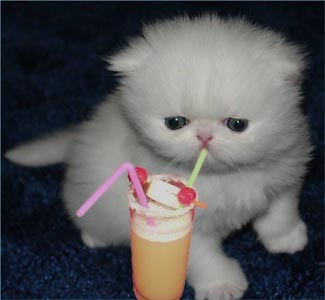 …just look at him taking a little sip of his drink. Definitely not seeing this happening. Gareth Bale is emerging as a star, and Barça already have midfield packed with stars. And really, Bale in La Liga? Nah. he’s on a long term contract isn’t he so if they really want him its going to cost them big time, which barca players do you want. just because he used to play left back doesn’t make him a left back now. he hasn’t played back there in a while. he’s pretty much an attacking player now. Yeah, I would see him in a LB role more so at Barca. It won’t happen anyway, but I have a feeling they are looking to fill in weak spots vs. unnecessarily trying to sign Cesc for 50M next summer. Barca dont seem to care that their fullbacks dont play any defense… I mean once again, look at Dani Alves. He is by no means the worst defender in the world, but he attacks like a banshee, and that is what the club wants from him. Imagine having a left back doing the same as their number 2 does.